Last summer in August we took a road trip and drove through rural Pennsylvania and upstate New York. My husband was a good sport as we stopped at produce stands along the way. By the time we got back to Louisiana, our car was full of fruits and vegetables and it smelled like an aromatic fruit concoction. The New York peaches were ripe; I got busy and made a luscious Peach Shortbread Tart. The fresh fruits and vegetables in the northeast are so different from those here in Louisiana. It is interesting to see what other folks have available to cook with. How envious I am of all the peaches. But please don’t think I’ve kept these peaches for a year. This is a post I started last fall, but never had a place to use it. The recipe for the Peach Shortbread Tart is adapted from an old high school cookbook. I stumbled upon the recipe by accident while looking for something else. 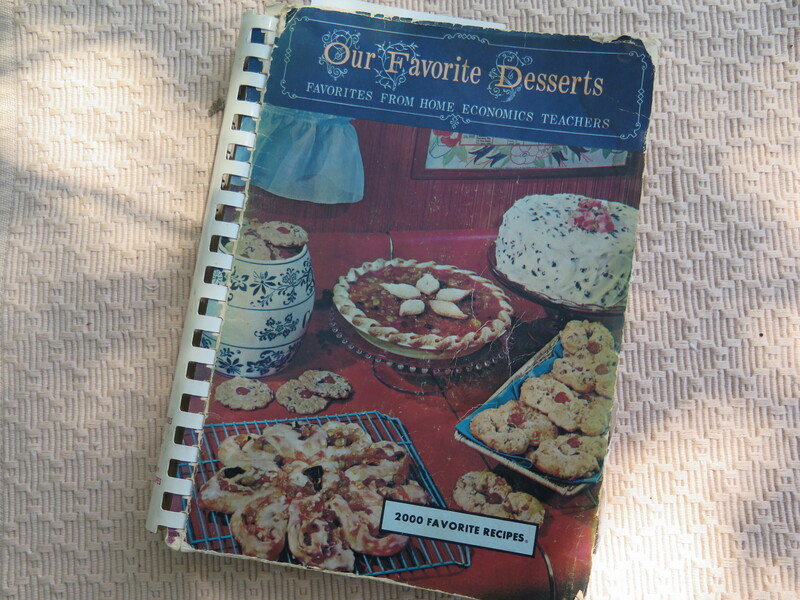 The “Our Favorite Desserts” is one of a series of cookbooks which were were sold as fundraisers during high school. I think they are still available at amazon.com and other internet used book stores. When I needed a creative dessert idea, I looked through the cookbook which consisted of recipes submitted by home economics teachers. When we cleared out my parents home for an estate auction; the cookbook brought back many memories. In the recipe, fresh ripe peaches are added to a tapioca sauce and placed in a pre-baked shortbread crust. The tapioca cooks into a clear glaze. 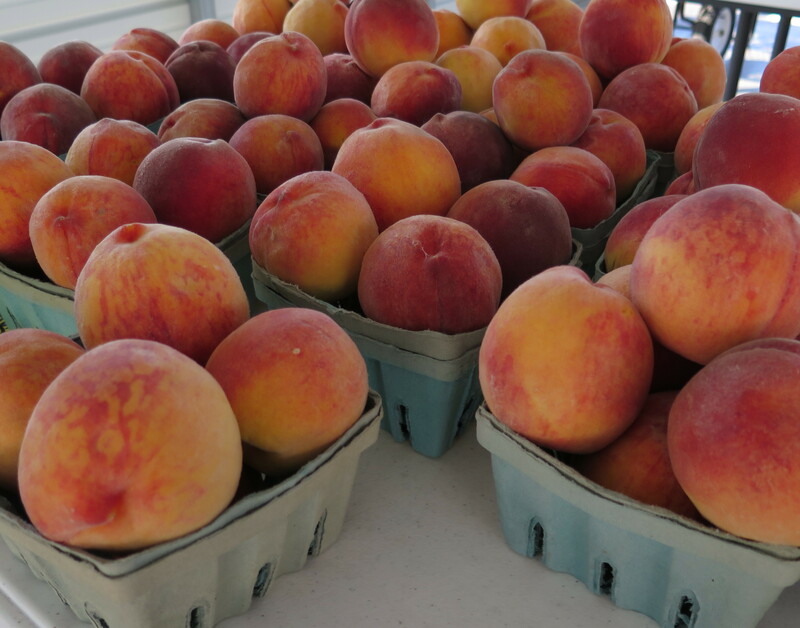 Most of peaches are not cooked so they retain their fresh fruit flavor. I added pecans to the shortbread crust which makes it crunchy and rich; the peaches and crust together make a tasty dessert. A shortbread crust is a rich cookie baked in a tart pan. Shortbread originated in Scotland and includes 3 ingredients – sugar, butter and flour. 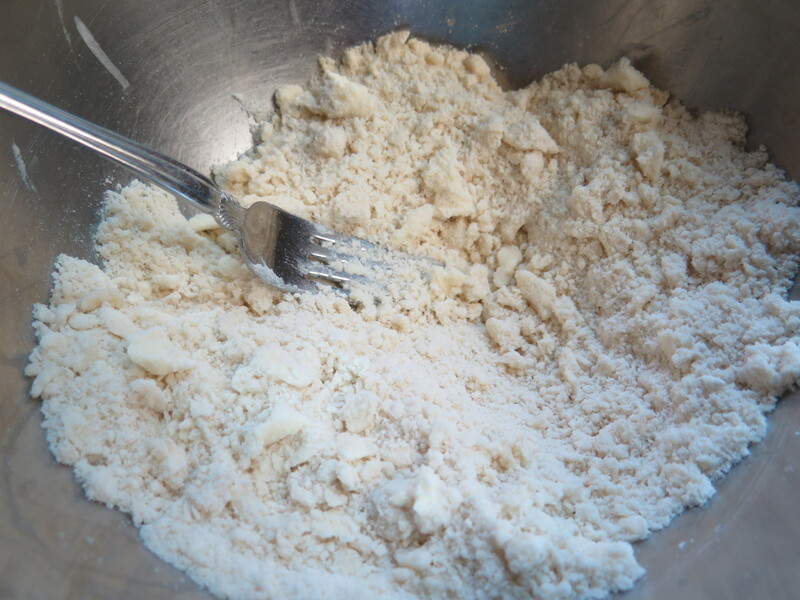 The dough has a crumbly texture – a Scottish word for short. I added a Louisiana flair – pecans – which really add to the flavor. Cut the margarine into the flour and sugar with a fork until crumbly. Toast pecans in the oven until aromatic and then finely chop pecans. (These might be a little over-toasted; it doesn’t take long to toast the pecans.) Bake the crust in an 8″ fluted tart pan with removable bottom. It is impossible to lift this crust out of a pie or cake pan — it crumbles. But the removable bottom allows you to get the crust out of the pan. Let the crust cool completely before adding the filling. Tapioca is an thickening agent similar to cornstarch or flour. 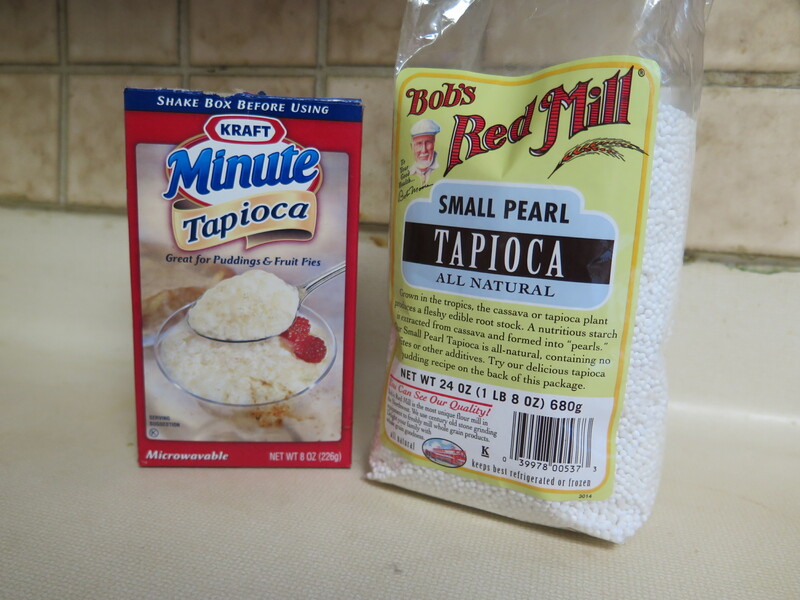 It is sold as instant or “minute” tapioca and pearl tapioca. I remember tapioca pudding when growing up. It also makes a nice thickener for fruit pies with a pleasing, clear appearance to the fruit filling. In this recipe some of the peaches are added to the pearl tapioca and sugar, then cooked on the stove to make a peach glaze. The rest of the peaches are sliced and added to the glaze. Remove the skins of the peaches easily by boiling them in water a few minutes, then dipping in cold water. The skins should easily peel off. 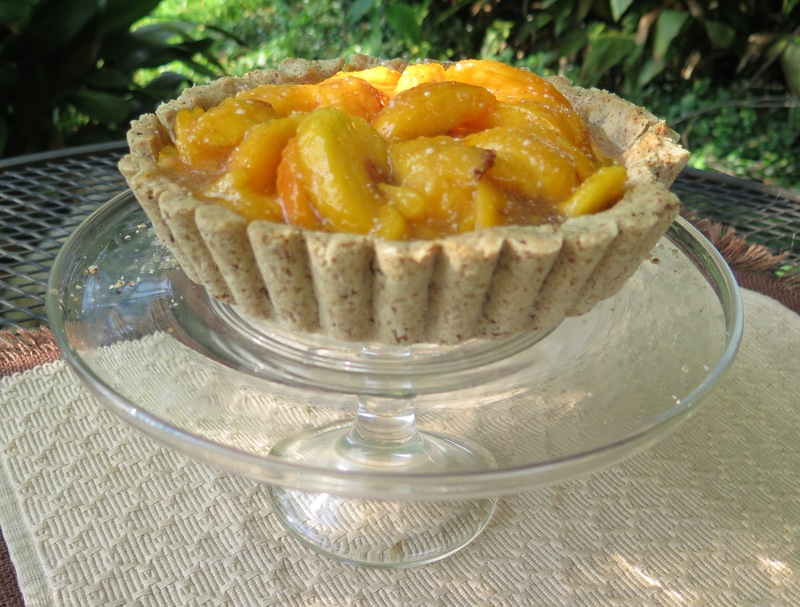 I make several versions of the Peach Shortbread Tart. 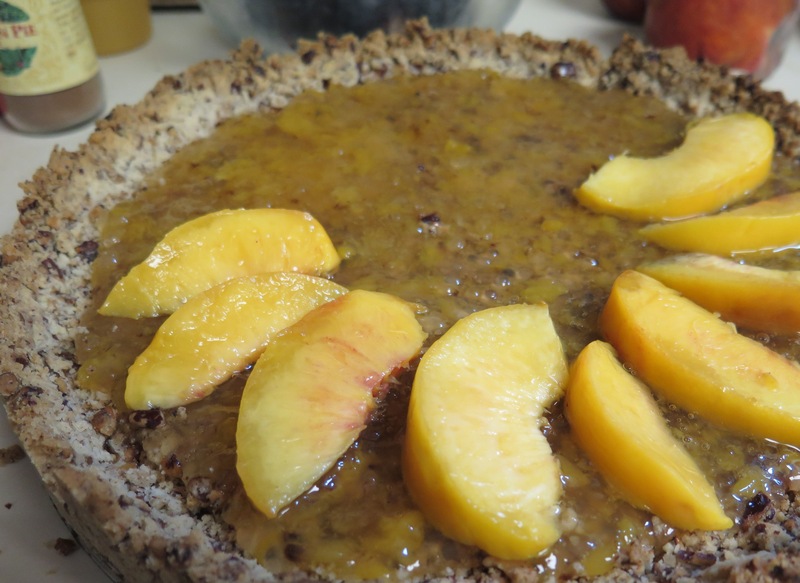 For this version, I used a spring-form cake pan for the crust and layered the peaches in a decorative pattern over the tapioca filling and crust. The recipe for the filling was really enough for two of these tarts. In the second version, I used a fluted 8-inch tart pan with higher sides. It is easier to pile up the peaches in the tart. The recipe is a great way to show off fresh peaches and tastes scrumptious with the rich cookie-type shortbread tart. Enjoy! The recipe is adapted from “Our Favorite Desserts” cookbook. 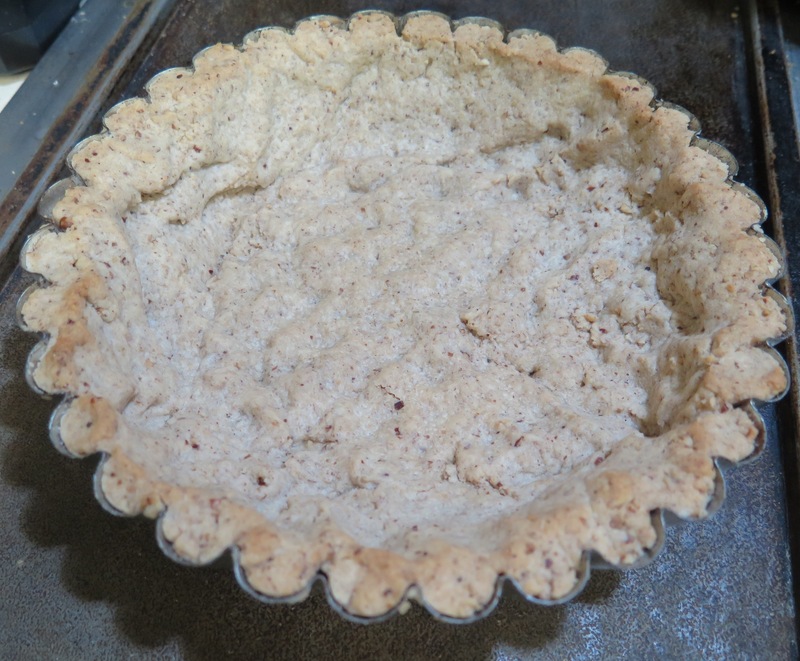 The shortbread crust is slightly modified; it contains powdered sugar and pecans — a similar crust was used in the Bayou Persimmon Mud Pie recipe in a post last fall. The tapioca is pearl tapioca; not “minute” tapioca. 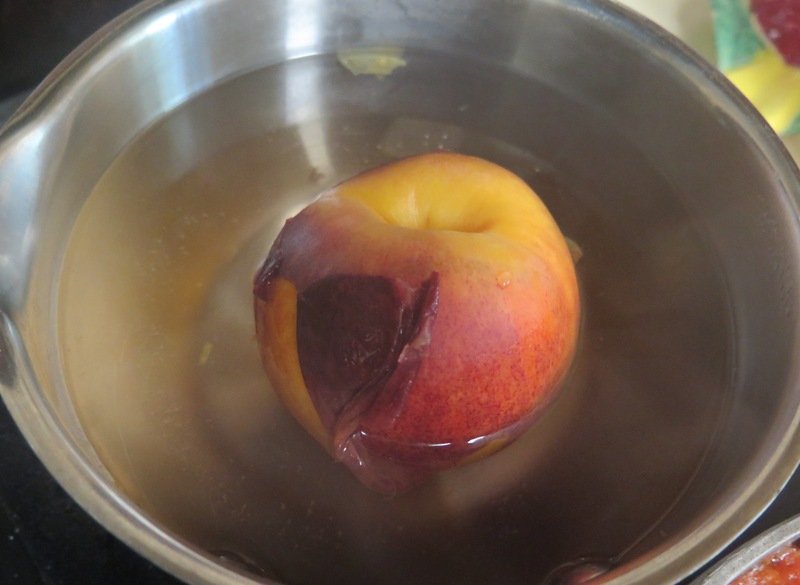 Peel the peaches by placing them in a pot of boiling water for 2 minutes, then quickly dipping them in cold water. As soon as the peaches are cool enough to handle, quickly slip off the skins. Remove the pits and slice the peaches. Set aside. 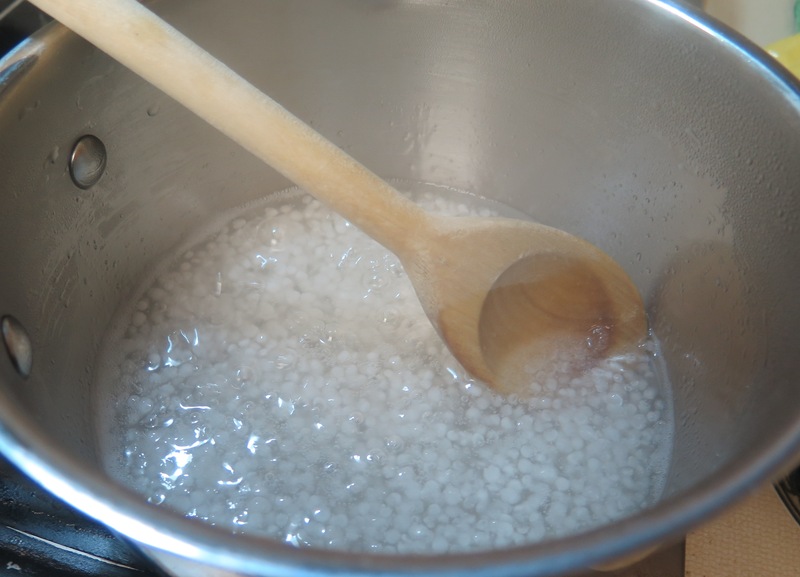 Add small pearl tapioca to cold water in medium sauce pan. Let sit for 30 minutes. Puree or mash 1 cup of peaches. Combine mashed peaches, sugar and salt with small pearl tapioca/cold water; cook and stir over medium heat until mixture boils. Turn to lowest heat possible, cook and stir for 10 minutes. Remove from heat; let stand 15 minutes. Stir in lemon juice and remaining peaches; Set aside and cool. Meanwhile, make the crust. Preheat oven to 325 degrees. Toast pecans by spreading in single layer on baking sheet. Roast for 5 minutes until aromatic and slightly browned. Immediately remove from baking sheet. Chop finely using a food processor or chopper. Set aside. Mix flour and sugar together in medium bowl. Cut margarine into flour/sugar with a fork until size crumbly and size of small peas. 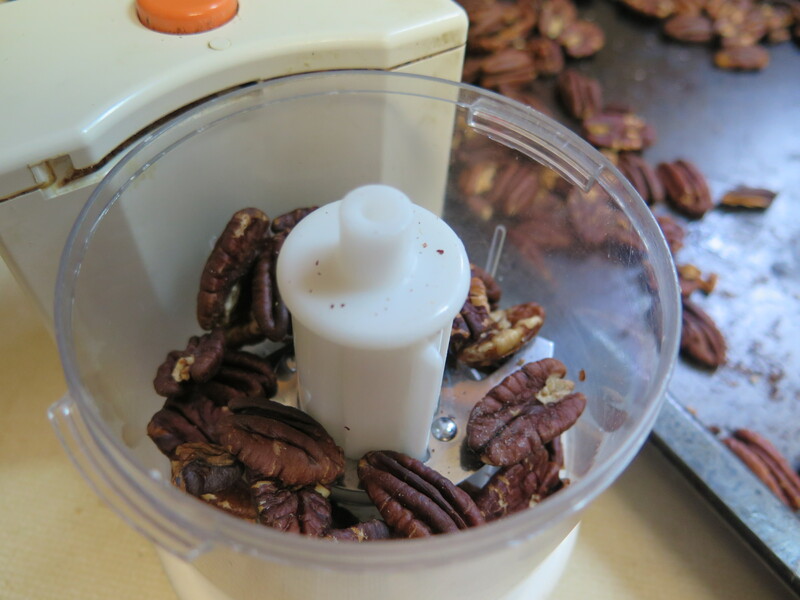 Add toasted, chopped pecans to dough and mix with hands until soft. Press evenly into bottom and sides of 8-inch round fluted tart pan with removable bottom, 1 1/2 inches deep. Prick with fork. Bake at 325 degrees for 25-30 minutes until lightly browned. Cool in pan; remove carefully. If shell sticks, heat gently a few minutes over low heat. 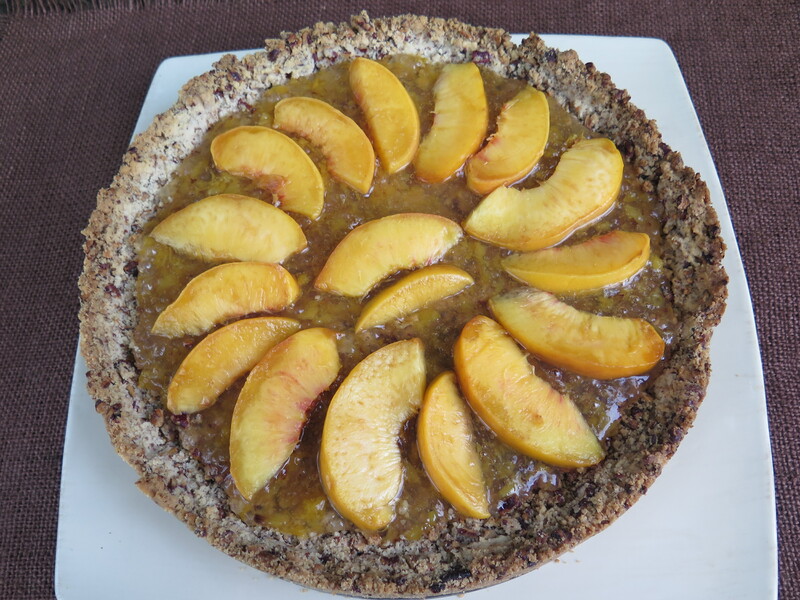 Before serving, fill crust with peach mixture. One of my favorite “roadside stops” on our trip last summer was along a highway in rural Pennsylvania. 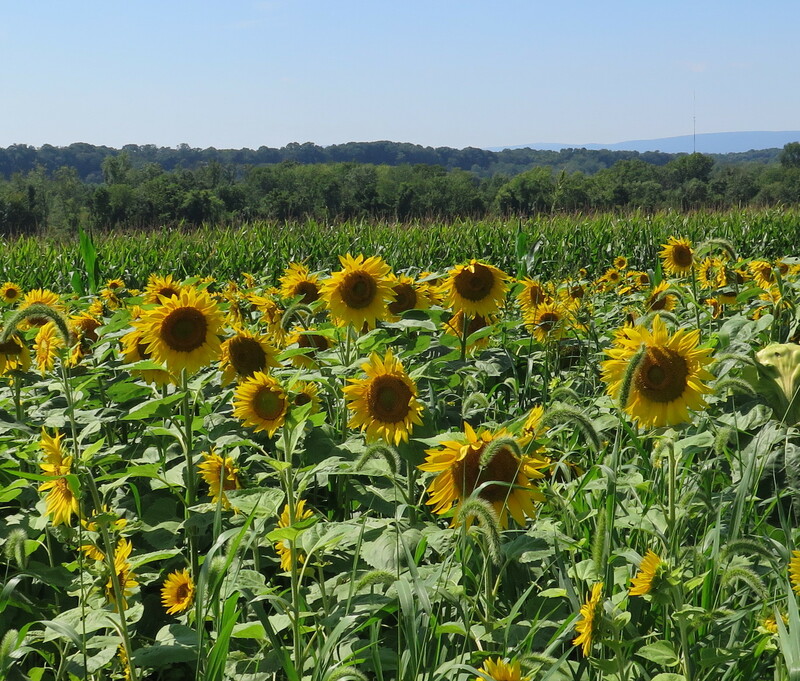 We passed as a large field of blooming sunfowers all pointing in the same direction; just waiting to be photographed. I love sunflowers! 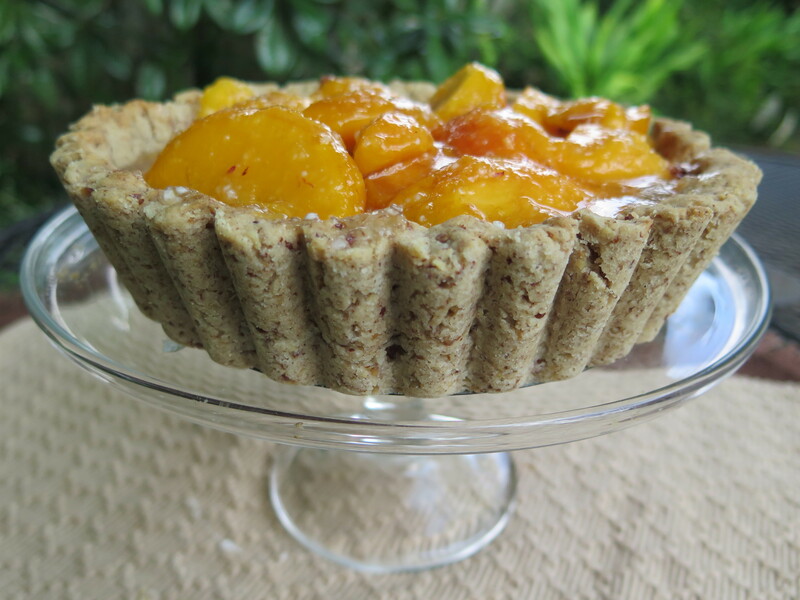 This entry was posted in Recipes, Travels and tagged fresh peach recipes, Peach Shortbread Tart by Maylee at Beyond Gumbo. Bookmark the permalink.